GREEN 5 was not merely an expansion of the Green series, with extreme attention to detail adding a special luster to the project, with new and innovative designs and services. Yet the true foundation of GREEN IV’s unique selling point is its prime location on top of the October with close proximity to Al Gezira Sporting Club. GREEN IV witnessed vast Construction and Service improvements apart from Residential Units with the development of different Commercial & Entertainment communities in addition to special areas for cycling and open areas designed for an extraordinary lifestyle on a Land area of more than 100,000 m2. A Strategic Spot At one of the most luxurious spots in 6 th of October city and on the top of the highest hill, GREEN IV Compound overlooks 26 th of July corridor and adjacent to Al Gezira Club. GREEN IV Compound is known for its proximity to the most popular areas & commercial centers such as Mall of Arabica, Mall of Egypt, Dandy Mall, City Center & Park Avenue. Also it’s very close to the most well- known Universities & International schools such as Nile University, Misr University, 6 th of October University & Choiuefat, American, English, British, New Alsson Schools. Master Plan The project occupies a 25 Acres space including 178 Twin Houses, only 19% is designated to Buildings while the rest is designated to Green Areas, Roads, Walking & Cycling lanes. Crafted for Those who Pay Attention to Details Far from the busy Cairo we all know, GREEN IV Compound lies on a hilltop to ensure a calm lifestyle for our clients. The compound is a true manifestation of natural beauty, as it consists of 178 carefully planned Twin houses that overall vast areas of green spaces. GREEN IV’s outstanding architecture is accentuated with stone and wood to express our attention to great design. Not to mention that the services included at GREEN IV Compound are carefully provided to prevent you from leaving the compound and wasting your valuable time. A balance between nature and design, beauty and practicality gives you an idea about how we took care of every little possible detail. you everywhere to provide you with clean air. At GREEN IV Compound you’ll notice how we want to ensure a sustainable green environment for you and your family. you with a great indoor experience. We also provided many outdoor amenities for you and your family. There are biking trails and walking tracks all around the compound for a healthier lifestyle. Barbeque and picnic spots are available so you can enjoy quality time with your family. Children can also enjoy the outdoor experience where we made a special park for them as well as a party are to celebrate the best years in their lives. You deserve more than a house, you deserve a healthier, more outgoing lifestyle. 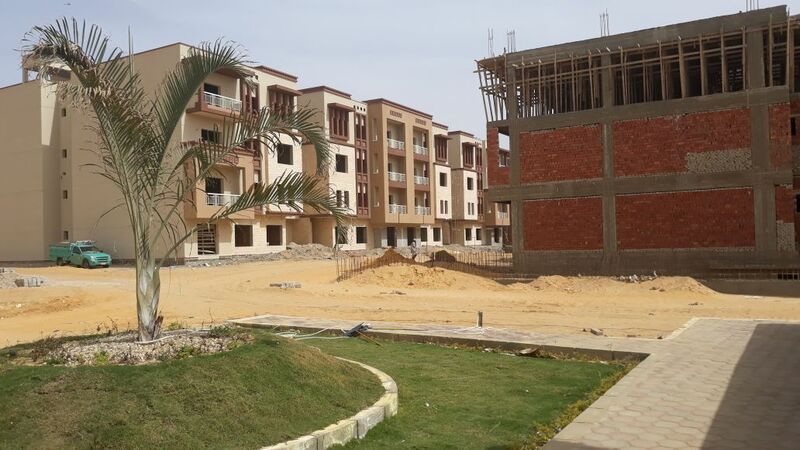 We founded Mabany Edris in 1998 with a strong understanding of the Egyptian market by constructing various residential buildings to meet the popular demands of today’s clients. Our strategies in new projects were aligned with fulfilling such demands with Commercial, Medical, Industrial investments for individuals and corporates in parallel with the expansion in the Residential sector through developing Green Residence Series which paid attention to all details starting from the primness of Location, beauty in designs and ending by the correspondence of such designs to real and building a great community to match the clients lifestyle. Throughout our evolution as a company over the past 18 years, Mabany Edris has had the great pleasure of working across all sectors of the real estate market. With a portfolio that encompasses Residential, Commercial, Industrial and Medical developments, Mabany Edris is one of the most experienced developers on the market. Our projects include our heralded Green Residences Series, and the private Palm Gardens compound, Tivoli Dome Sheikh Zayed, Al Masriya Warehousing Compound and the renowned Rofayda Medical Center.